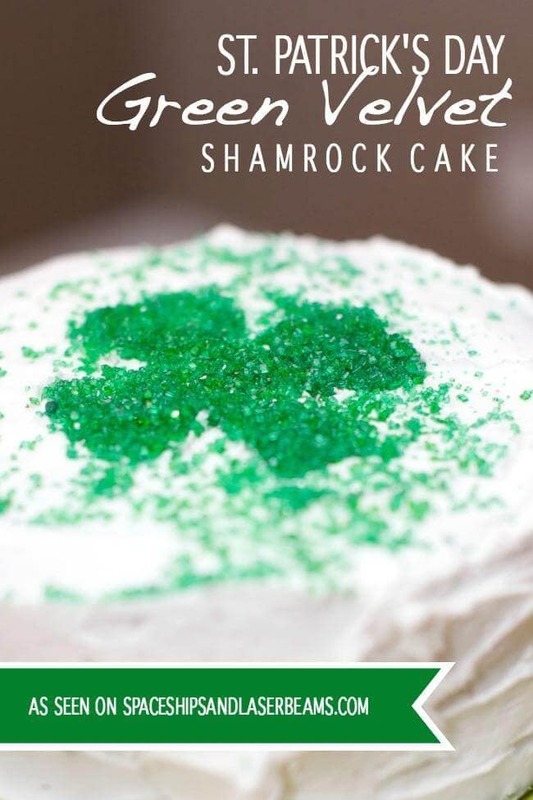 Make March 17 extra special by celebrating with a few of these St. Patrick’s Day desserts. 17 of the best ideas and recipes for shamrock and rainbow treats. Hey there! Do you celebrate St. Patrick’s Day in your home? 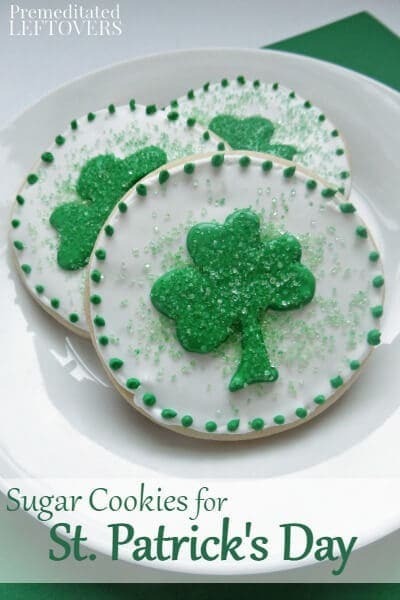 Even if you don’t decorate your house with St. Patrick’s Day decor, you can easily make it a special day by creating a special treat. Today we’re sharing 17 of the best ideas and recipes for shamrock and rainbow treats. It will be hard to choose just one of these St. Patrick’s Day Desserts to try. It’s almost March 17, the day where everyone feels just a wee bit Irish, even if you’re not. 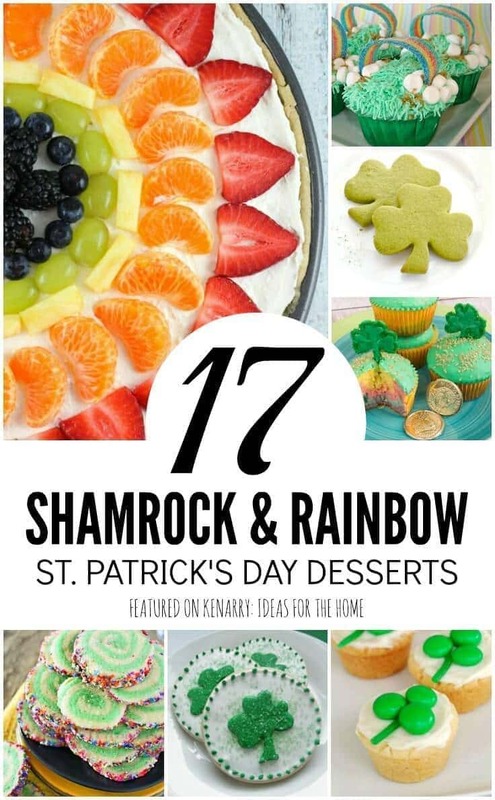 You can find lots of great recipes for St. Patrick’s Day desserts here on Ideas for the Home by Kenarry™ and elsewhere on the Internet. 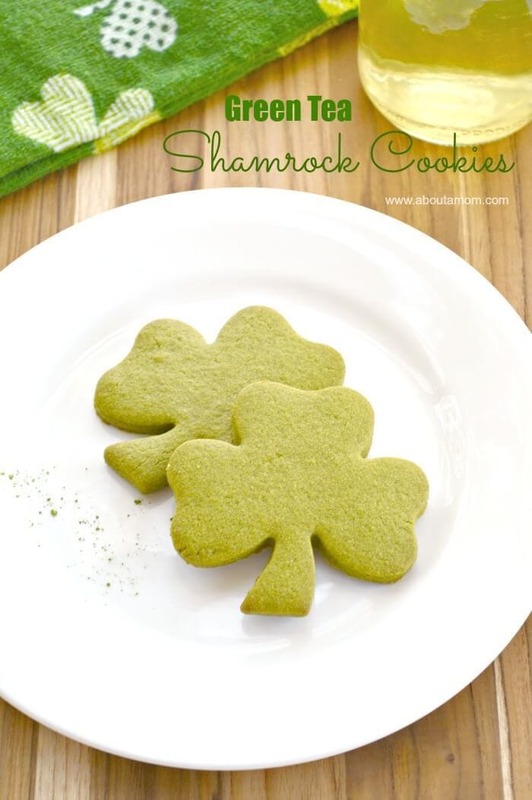 Today though I wanted to inspire you with easy treat ideas and recipes that specifically focus on green shamrocks or colorful rainbows. 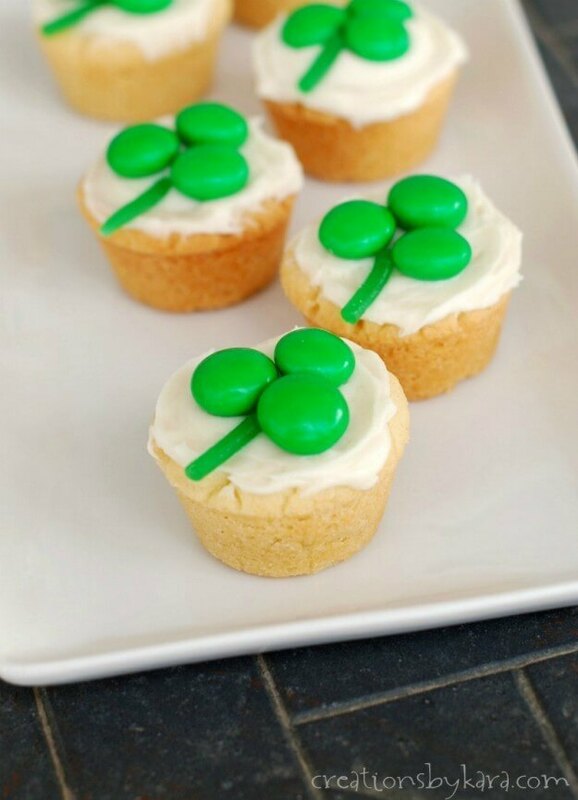 These 17 St. Patrick’s Day desserts are a really fun way to make your kids’ day! The St. Patrick’s Day desserts we’re featuring today were created by amazing bloggers around the world wide web. To see any of the recipes or instructions, just click on the links or the images. You’ll be magically transported to the original source, like a leprechaun finding a pot of gold at the end of a rainbow. If you want to save any of the ideas for later, please also pin or share from the original source. If you want to share the entire collection of St. Patrick’s Day desserts, you’ll find a large collage image at the end of the post. We’d love for you to pin and share it on Pinterest.